The Niagara Peninsula is easily one of the most fertile places in all of Canada and North America as is evidenced by our wealth of wineries, vineyards, orchards, and farms. 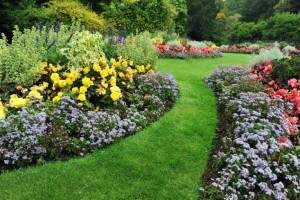 Blessed with a mild climate, an abundance of fresh water, and rich, well-draining soil, it’s common practice for many people in the region — not just professional famers, landscaping companies, and vineyard owners — to plant and maintain impressive gardens and tend to luscious and intentional landscapes. Maybe that’s the reason why one of the newest annual traditions in the Niagara region is the early spring home and garden show held the first weekend in March at the Scotiabank Convention Centre. Whether you’re coming to Niagara for a quick romantic getaway, a business meeting, or to take in some much-needed R&R at one of the world’s best tourist destinations, if you love home improvement, landscaping, or gardening, plan your Niagara trip to coincide with this event. Open to the public from Friday, March 4th at 2 p.m. through Sunday, March 6th at 5 p.m., for just $7.00, you can see, read, listen, sample, and learn from some of the best in the home, garden, and landscaping industries. Full of exhibits, displays, vendors, and demonstrations, here is some of what you should look for at the 6th Annual Greater Niagara Region Home and Garden Show. For anyone who loves renovating, updating, or just generally improving a home, this year’s Complete Home Improvement Centre will be a definite highlight. 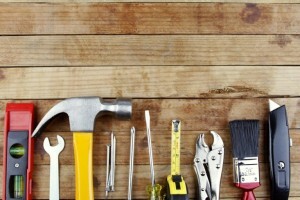 Learn tricks and tips for those do-it-yourself projects you’ve been putting off. Discover the latest in materials and design, from flooring and roofing to storage and lighting. Even if you’re completely satisfied with your home the way it is now, you’re likely to find great ideas and products that will help you make better decisions about what to do in the future. While the landscapers and gardening experts taking part in the Greater Niagara Region Home and Garden Show will mostly be offering insight and advice for homeowners and growers in the Niagara region, much of the information you can glean about getting your yard and flowerbeds ready for warmer weather is applicable no matter where you live. Find out what to plant for a robust-looking summer yard. Learn about when to put spring flowers in the ground and how to keep them safe from late frosts. Discover which trees, bushes, and plants will keep your yard and landscaping looking great through the autumn months. For anyone looking to bone up on how to best improve the look of their home’s exterior, the Garden, Landscape, and Outdoor Living Showcase should not be missed. As the trend toward a larger and healthier local food economy continues to gather steam throughout North America, one thing anyone with a little bit of earth can do to help out is plant a garden. Whether you own a half-acre or you just have a little roof space on which to place some raised beds, the Gardening Seminars held throughout the weekend will answer many of your questions about how to garden most effectively given your space and your ambition. For home, land, and garden improvement Niagara-style, head to the Scotiabank Convention Centre this March 4th through the 6th.